Gustavo Gaviria and Pablo Escobar were cousins and close friends since childhood, so it only made sense that when Escobar ventured into the criminal world, he took Gaviria with him. From 1976 to 1993, the Medellin Cartel ruled the cocaine business. At the time, no criminal organization in the world was as highly organized and far-reaching in the distribution of the narcotic. While Pablo Escobar is recognized as the kingpin of the Medellin Cartel, US and Colombian narcotics experts believe Escobar’s cousin Gustavo Gaviria oversaw the exportation of cocaine and the financial side of the cartel’s billion-dollar business. “This guy we really wanted to take alive because he was the true brains. He knew all about the labs, where to get the chemicals, the transportation routes, the distribution hubs throughout the United States, and Europe,” said Murphy. Pena and Murphy would know. They both investigated and tracked the Medellin cartel in its final years. An investigation which is dramatized in Netflix’s Narcos. Though the television show does take liberties with certain facts, it does get the relationship between Gaviria and Escobar right. 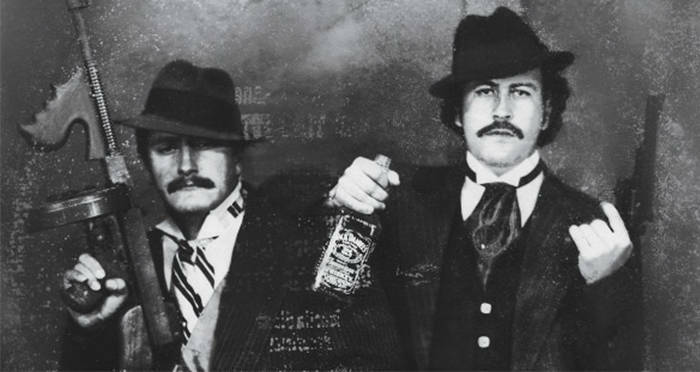 Gustavo Gaviria and Pablo Escobar were described as closer than brothers. Born just a few years apart in 1946 and 1949 respectively, they had grown up together and were partners from the beginning. By 1970, Gaviria and Escobar were small-time criminals. They were “always looking to do some business or pull off a crime to get extra money,” said Escobar’s son, Sebastian Marroquin. Even legitimate business was turned into criminal activity when they discovered they could make a lot more money quickly. They sold tombstones for a company but found it was easier to steal tombstones from graves and either hold them for ransom or sand them down and resell them. However, the lucrative profits were not lucrative enough, and they started robbing cinema box offices in Medellin, and then, hubcaps, and cars. But all of this paled in comparison after they sold their first kilo of cocaine. YouTubePablo Escobar, far right, sits with a group of his close Medellin “family” members. In the mid-1970s, they started as small-time traffickers smuggling coca paste into Colombia where they refined it. Then they shipped it to the United States via drug “mules” who smuggled cocaine in their luggage or swallowed condoms filled with the white powder. 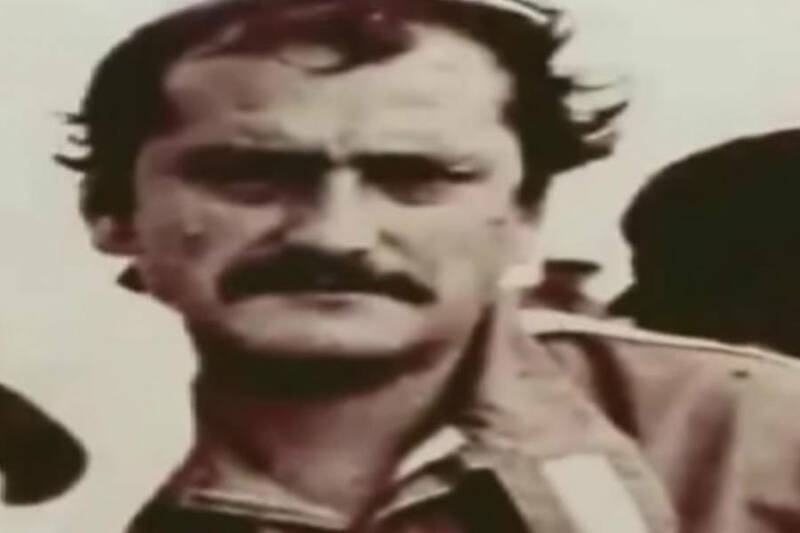 In 1976, Escobar and Gaviria were arrested when 12 pounds of cocaine was found hidden in the wheel of their car but were freed shortly after. As they started to advance from small-time smuggling to a more sophisticated network, they drew on their different strengths. Escobar was charismatic. He drew a lot of loyalty from his sicarios, which Murphy describes as his “real power base.” Those that weren’t loyal he intimidated with violence, methods which would make him narco-terrorist. Gaviria, on the other hand, was more even-tempered and a lot easier to deal with. He kept a low profile but kept the wheels of the organization going. He paid all the sicariosand organized the payoffs for agents inside the government, the police, and the army. Then, experienced trafficker Carlos Lehder helped them up their game and significantly increase the amount of cocaine by flying it into South Florida by the planeload. By 1979, the planes flew beneath US radar, via Lehder’s Bahamian island, Norman’s Cay. It did not last. Lehder’s operation was halted when Bahamian officials forced him off the island in the early 1980s. The Medellin cartel’s Colombia-Bahamian-Florida route was finished. But Gustavo Gaviria had a solution. The Bahamas were ditched in favor of poverty-stricken Haiti, and Panama, en route to the Mexican border, where Mexican couriers took it overland into the US. Cocaine was also air-dropped off the coast of Florida or pilots would ditch their planes into the sea and swim to waiting ships. Gaviria organized the transport of cocaine in legitimate cargo shipments, smuggled inside appliances such as television sets, and refrigerators. Gaviria found more creative ways to smuggle coke transporting it in legitimate cargo such as inside television sets and refrigerators. The cocaine was also mixed in with goods from Latin American countries: fruit pulp, cocoa, wine, and dried fish. Grapefruits were cut in half and scooped out, their pulp replaced with cocaine before the halves were glued back together. He even organized chemists to remove cocaine from the fibers in blue jeans. “Pablo [who apparently was not great at business] was more specialized in violence and Gustavo was more specialized in business — illegal business, of course,” according to Gustavo Duncan Cruz, a political science professor at EAFIT University in Medellin. In the 1980s, Escobar turned his attention to politics. He wanted to become president and started to build credibility with the poor by building sports centers and supported programs to help impoverished Colombians in Antioquia. In 1982, he was elected alternate representative to the Chamber by the Popular Alternative movement. “He spent a lot of time on his campaign trail and essentially left Gaviria to run the business side of things,” said Douglas Farah, an ex-journalist who covered Escobar in his final years. YouTubeGustavo Gaviria shortly before his death. By the mid-1980s, when Gaviria allegedly was running the business side of things, the Medellin cartel reached its height, raking in $60 million per day and had cornered 80-percent of the cocaine supply in the United States. “Gustavo Gaviria had the contacts all over the world for the cocaine distribution…[He] was the one,” said Pena. On Aug. 11, 1990, after months of searching, the special operations units of Colombia’s National Police killed Gustavo Gaviria. He was 41 years old. The police claimed he died in a shoot-out, but Pablo Escobar maintained his cousin had been tortured and murdered. It seems unlikely that Gaviria with so much knowledge of the cartel’s operation would be shot outright, so there may be some truth in Escobar’s claim. Gustavo Gaviria’s death ended a truce with the Colombian government which had been called just days before with the election of Cesar Gaviria as president on August 7, 1990. Violence increased when Escobar declared war on the Colombian government. Escobar ended up on the run, moving from safe house to safe house. In the end, Escobar’s desire for power – and to be president may have been the undoing for both him and the cartel. Gustavo Gaviria saw it more as a business, not as a platform to war with the Colombian state. With the brains behind the organization gone, the cartel – and Escobar – would only last another three years. 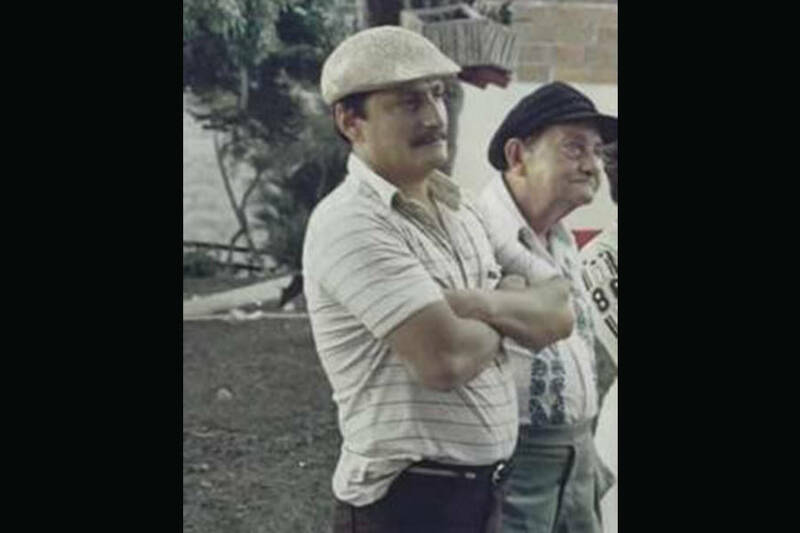 After reading about Gustavo Gaviria, Pablo Escobar’s cousin and mastermind of the Medellin Cartel, check out these insane narco instagram photos from Mexico’s most feared cartels/a>. Then, read about the surprisingly mundane life of its leader, Pablo Escobar.